“The people who are crazy enough to think they can change the world are the ones who do,” is a way to describe Corentus most recent team member, Karina Nersesyan. Karina takes on this world with the courageous authenticity that drove her to take time off from over the two decades of successful global career and focus on mastering her ability of leading from the future. 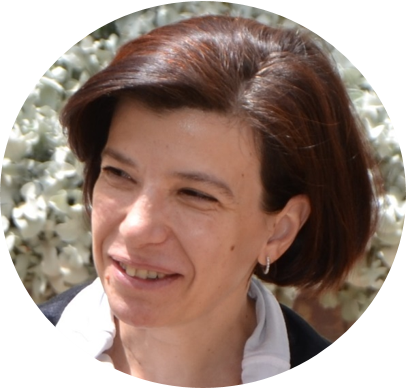 Karina joins Corentus in her new capacity as the Ambassador, Organizational Development and Leadership Advisor. The uniqueness of Karina’ experience is in its diversity as it spans across different countries, different cultures and industries united by her passion to strive for a world where the poor and marginalized exercise their voice, build their own solution and take ownership of their future. Karina led teams, advised on policies and organizational development efforts, as well as implemented programs across multiple sectors, ranging from the United Nations Relief and Works Agency for the Palestine Refugees to non and for profit international development organizations. Karina’s experience will allow Corentus to open new frontiers and expand its services to a variety of new clients. Karina graduated from the Georgetown Tranformational Leadership Program, with her profile featured in the Institute monthly publication. Karina holds a Doctorate in Development Economics from State University of National Economy in Armenia, and a Master’s in Business Administration and a Master’s in Science with focus on Economics, from the Haigazian University of Beirut and the National University of Architecture and Construction in Armenia. Karina is a yoga and transcendental meditation practitioner. Since her being on the national junior swimming team, she retained her love for swimming and active physical exercise. Karina is married with a daughter who is a graduate of the American University in Washington, DC with a Bachelor’s Degree in International Studies and who is an ardent global nomad.